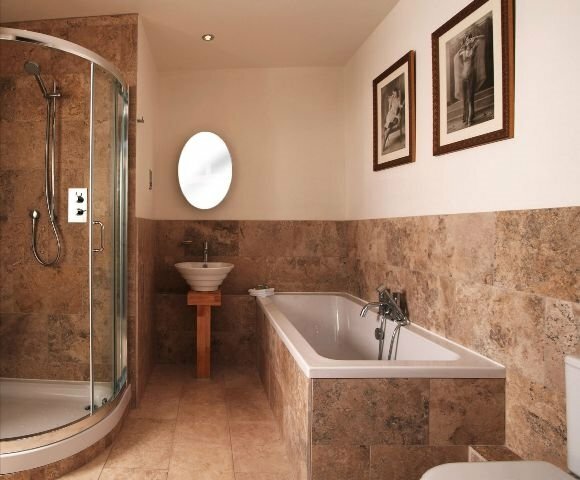 Dillons in Whitby, North Yorkshire has the perfect recipe for a successful 21st century seaside B&B – contemporary elegance and modern convenience with a healthy dose of traditional warmth and hospitality. 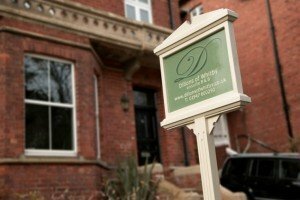 Located just a few minutes’ walk from the town centre, with its quaint, winding streets, and the 199 steps leading up to the ruins of Whitby Abbey and St. Mary’s Church, which share an atmospheric cliff-top spot, Dillons is also close to the traditional seaside delights of the West Cliff area. Overlooking Whitby’s beautiful Pannett Park, Dillons has the added benefit of some on-site parking and there’s plenty of unrestricted, free on-road parking nearby too. There’s also secure on-site parking for motorbikes and cycles. Your hosts, Mathew and Craig, are committed to making your stay memorable. Whether you’re simply looking for a few hassle-free days away, are on business in the area or celebrating a special occasion, they’re happy to chat to you about your individual requirements. Mathew and Craig’s attention to detail reflects their shared desire to shake off the outdated image of the traditional seaside B&B. 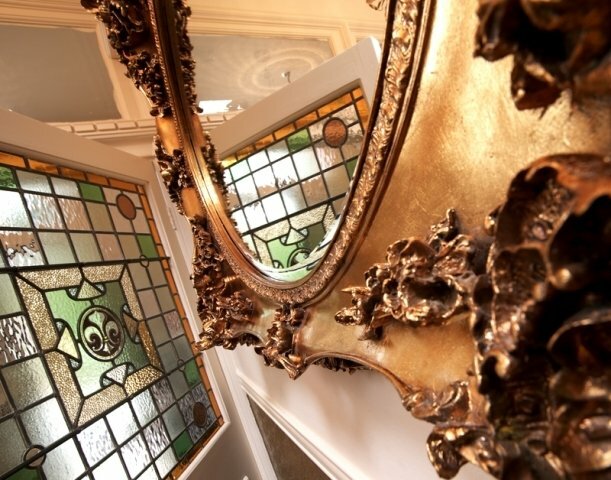 The sensitively-renovated, beautiful Victorian property has an atmosphere and facilities to rival those offered by any boutique hotel. Because Dillons only has five guest bedrooms, visitors are also guaranteed a friendly and personal service. 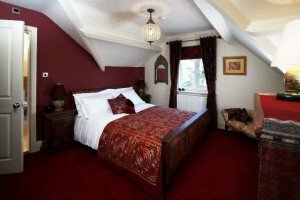 It is the only five-star B&B in central Whitby, and has won an award for the quality and variety of the breakfast options served to guests. Dillons is also listed in the Micheline Guide for the 5th year, winners of a White Rose Ward and also a ROSE Award for outstanding service standards. Guests can relax in the well appointed reception room and enjoy afternoon tea and homemade cakes, or choose from the many books on offer. Mathew and Craig also work closely with local artists of quality, offering public spaces for selected pieces to be hung for the enjoyment of guests and which are also be available for sale should people wish to purchase. 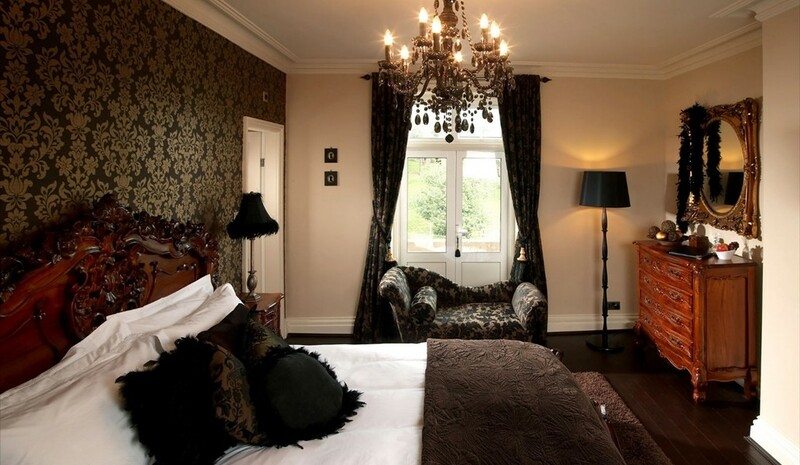 Each of the five guest rooms has its own unique theme. 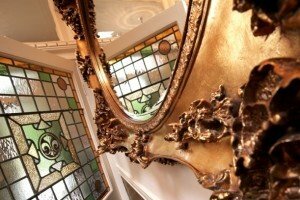 Decorating inspiration has been taken from around the globe, yet each of the tasteful and stylish rooms perfectly complements the elegant proportions and period features of the property. Attention has been paid to those special finishing touches, from the Egyptian cotton linen on the beds to the hospitality trays stocked with Taylors of Harrogate tea and coffee, and homemade biscuits. 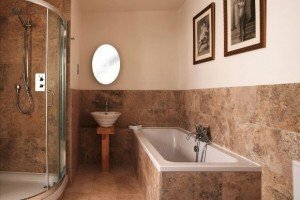 The rooms all have a flat-screen television, an iPod docking station, free wireless internet access and a stylish en suite bathroom with white porcelain fixtures, travertine tiles, fluffy towels and bathrobes, and toiletries by The White Company. Dillons is a non-smoking B&B. Gift vouchers are available. Room rates range from £85 to 135 per night for double occupancy. This published tariff is subject to review for longer stays and single occupancy. At breakfast time, guests can expect hearty Yorkshire hospitality. To start with, there’s an array of seasonal fruits and juices, accompanied by yoghurts, cereals, nuts, seeds and dried fruits. Then, there’s the option of a traditional Yorkshire breakfast cooked to order, a vegetarian option or traditional Whitby kippers from the town’s iconic Fortune’s smokehouse. All are accompanied by hand-cut toast, local preserves by Rosebud of Masham, and tea and coffee from Taylors of Harrogate. Dillons continues to hold a breakfast award taking seriously provenance and seasonality. They offer a range of daily Dillons Specials and offer a highly popular (and often commented on) home-made granola. You have found a wonderful place to stay and Boutique and Breakfast is committed to giving you a personalised service so that you can find the right room at the right price. Simply fill in our enquiry form and within 24 hours you will receive a response from Dillons of Whitby tailored to your needs. This will be in the form of either a telephone call or an email. This has to be the best B&B we’ve ever stayed in. The service is second to none. What lovely hosts too.